There are some lodges that meet on ranches, hilltops, caves, and in other outside areas, and actually confer degrees and conduct ceremonies outside. Some outside meetings have become traditional for certain lodges, such as the Castle Lodge No. 122, in Eagle, Colorado, which meets outside on a private ranch annually during the summer. [i] There is also a lodge in Montana, which still meets outside and has Tyler’s mounted on horseback, with custom-made aprons for the horses! In England, for a lodge to meet outside is now unheard of, but there was a lodge under the Grand Lodge of Wigan that did meet under a bridge by the Leeds and Liverpool Canal near Wigan. This particular lodge called the Rose Bridge Lodge, was quite short lived, but was an interesting reminder that lodges could once meet this way. Apparently the lodge posted a Tyler at either end of the canal towpath to keep out intruders. [v] Meeting outside, under the sun, the moon and the stars, is for a lodge to meet under the active, natural Universe itself, and as long as the weather is good, there would be no place better. Do lodges meet outside in other countries? Lodges have been known to meet outside in India, and in Australia, one New South Wales lodge has met a couple of times in a large cave, and there is a Mark Lodge, which has met in a quarry in Australia. The quarry had supplied the stone for the Grand Lodge building in Brisbane. 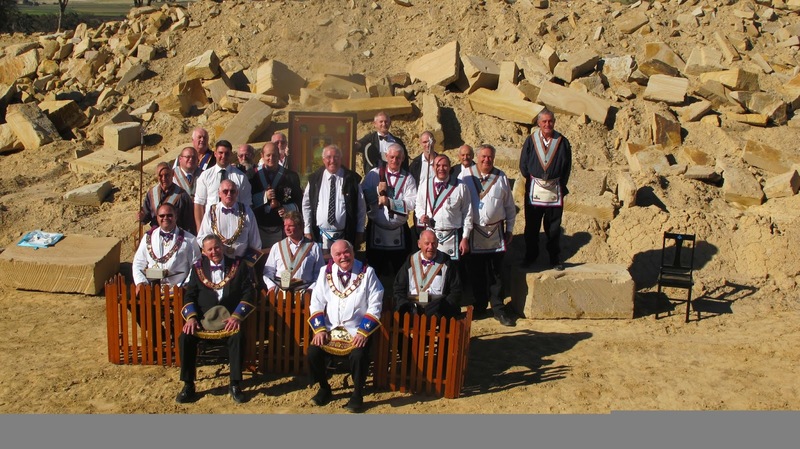 On the 18th May 2013, the J W Jackson Lodge of Mark Master Masons No.32 on the Roll of the Grand Lodge of Mark Master Masons of Queensland, held an Advancement to the degree of Mark Master in the quarry at Yangan, north-east of Warwick, Queensland. This is the same quarry that provided sandstone for the Ann Street Masonic Memorial Temple, Home of the UGLQ. This Mark Lodge is named after James Watkin Jackson, a pioneer of Freemasonry in Queensland. He was the founding Master of North Australian Lodge No1 UGLQ, consecrated 13thJuly 1859, six months before the state of Queensland was proclaimed. [i] The Castle Lodge No. 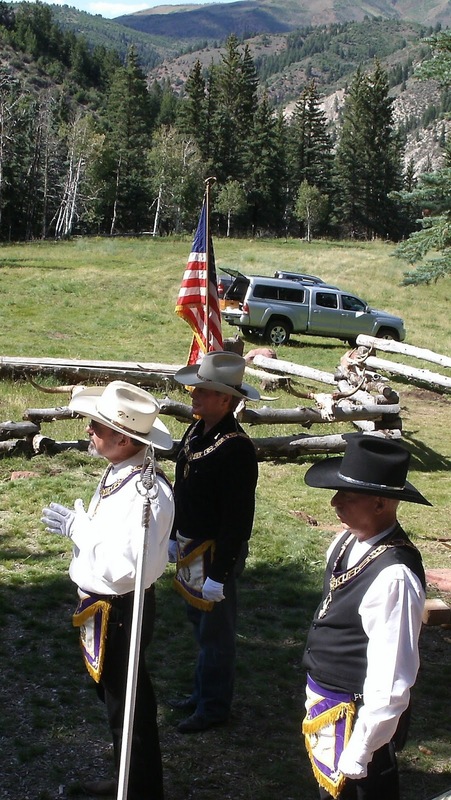 122 in Eagle, Colorado, hosts the outdoor lodge event annually with permission of the Colorado Grand Lodge AF&AM. It is put on at Bro. Larry Trotter’s TNT Ranch outside of Gypsum Colorado named ‘COAZ’. [v] See Harrison, The Liverpool Masonic Rebellion and the Wigan Grand Lodge, p.59. In England, Pseudo Masonic clubs, such as the Hell Fire Club, also known as the Monks of Medmenham, certainly met in caves on the estate of Sir Francis Dashwood in West Wycombe during the mid-eighteenth century, and it has been suggested that the cave-like tunnels of Joseph Williamson in Liverpool, constructed in the early nineteenth century, were used as a meeting place of some sorts, but there is no evidence for Masonic meetings in caves in England. See Harrison, Genesis of Freemasonry, pp.139-141. There have been religious gatherings held outside in England, such as the Primitive Methodist meetings of the early nineteenth century held at Mow Cop, the rugged outcrop that straddles the border of Cheshire and Staffordshire, and more recently, the New Age gatherings of Stone Henge during the Summer and Winter Solstice, though in the US, especially in the western States and rural areas of the south, it was common to hold religious meetings outside and conduct baptisms in rivers. The above article is copyright to Dr David Harrison, 2013. 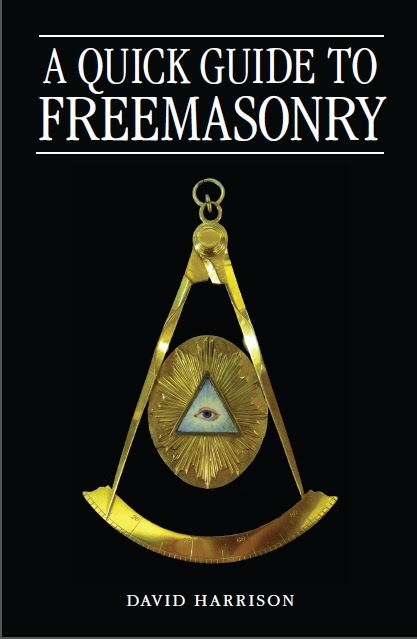 The article has previously appeared in the book A Quick Guide to Freemasonry by Dr David Harrison, published by Lewis Masonic and priced £9.99. It has also appeared in The Square, 2014. Many thanks to David Moran and David Cook for the use of the two photographs.